Mini Movie Theater Renovation turned a commercial space into a stunning theater room. Ever wish you could get the movie theater experience without going to an actual theater? We made that dream a reality for this space. It all started with this unfinished area. Hardly a suitable place to watch a movie, but then Titus Contracting started work. New walls, new carpet, mounted speakers, a mounted LCD, and theater seating were added, just to name a few things. When the project wrapped up, the once empty, unfinished room looked a lot more inviting. Hard to believe it’s the same room, right? That dirty room is now the perfect place to kick back, eat some popcorn and watch the latest blockbuster. 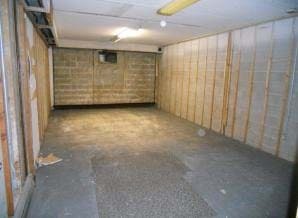 We’d love to put together this kind of change in your commercial property. Give Titus Contracting a call at 952-746-7817 today, or fill out our online form to request an estimate.